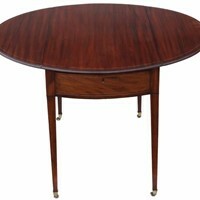 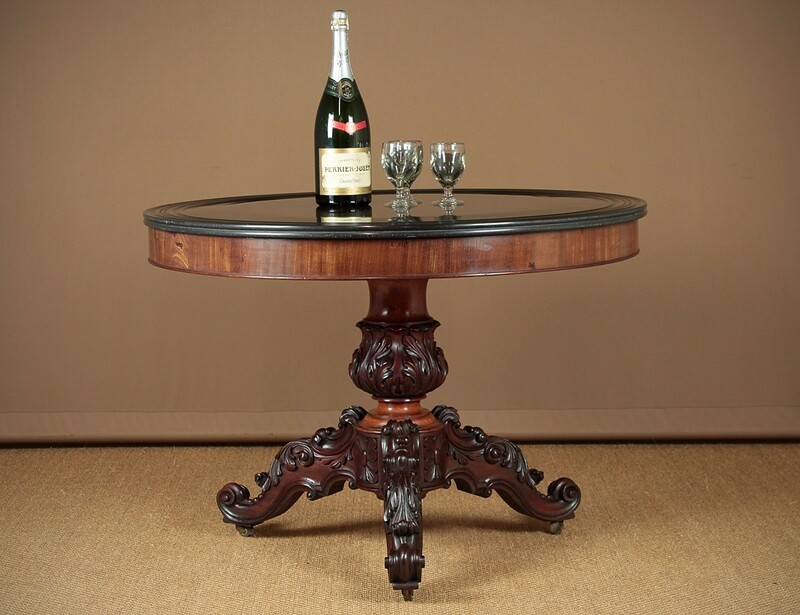 French Marble Top Centre Table Or Gueridon Table. 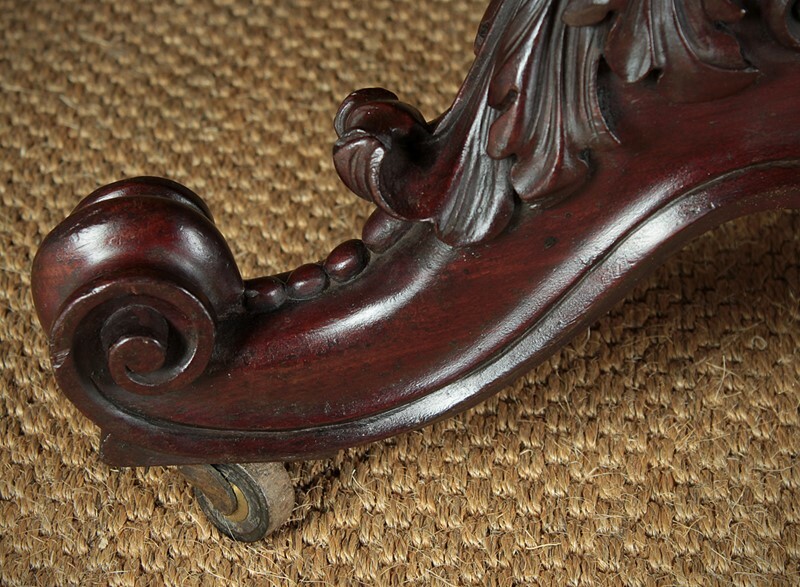 Superb mid 19th.c. 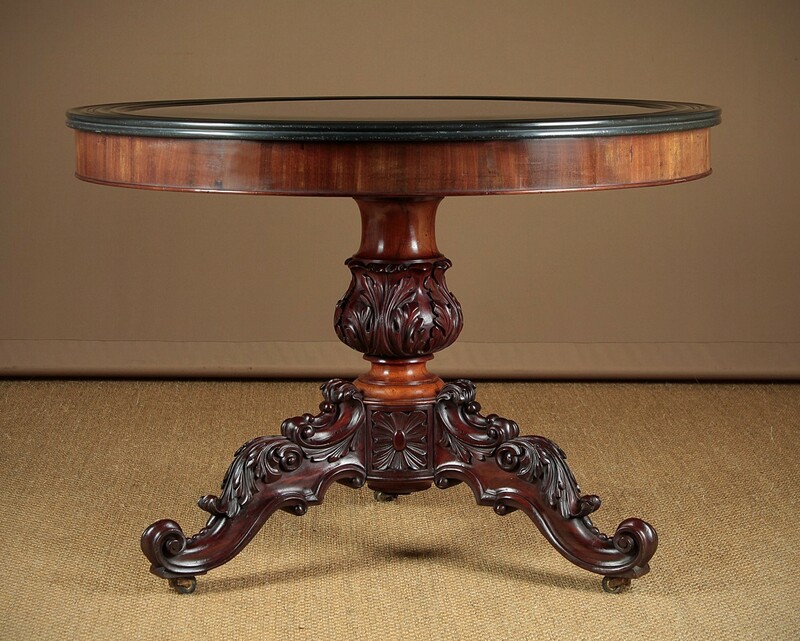 French marble top centre table or gueridon c.1860. 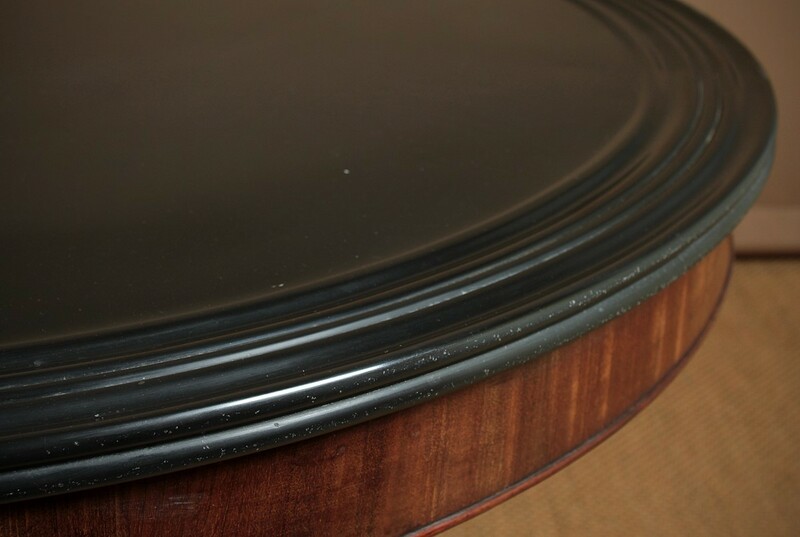 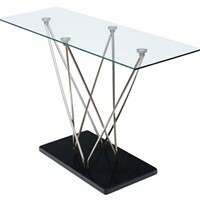 Original 39″ diameter black marble top, one inch thick and featuring a broad shaped edge with concentric rings to stop spilt liquids from running over the sides. 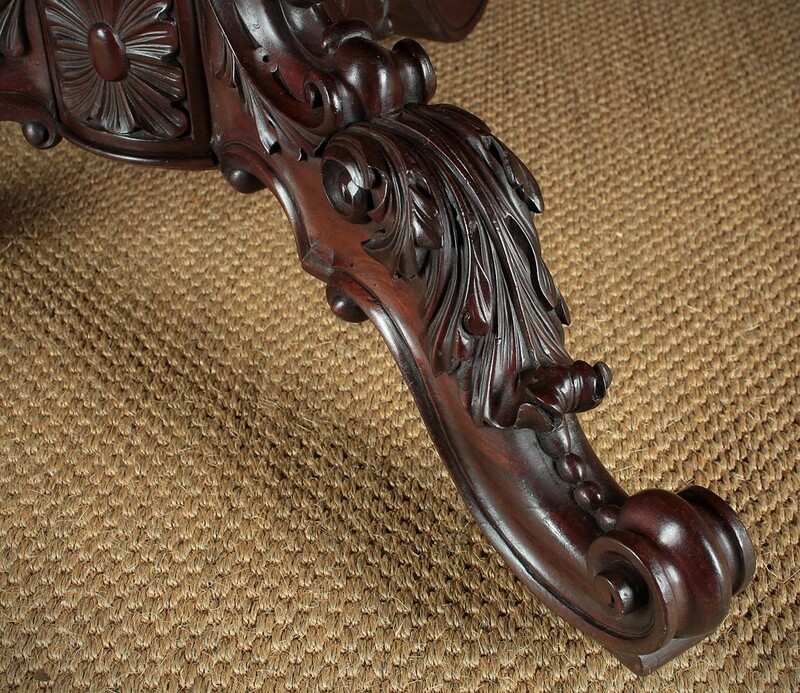 With a mahogany veneered apron and exceptional carved mahogany base. 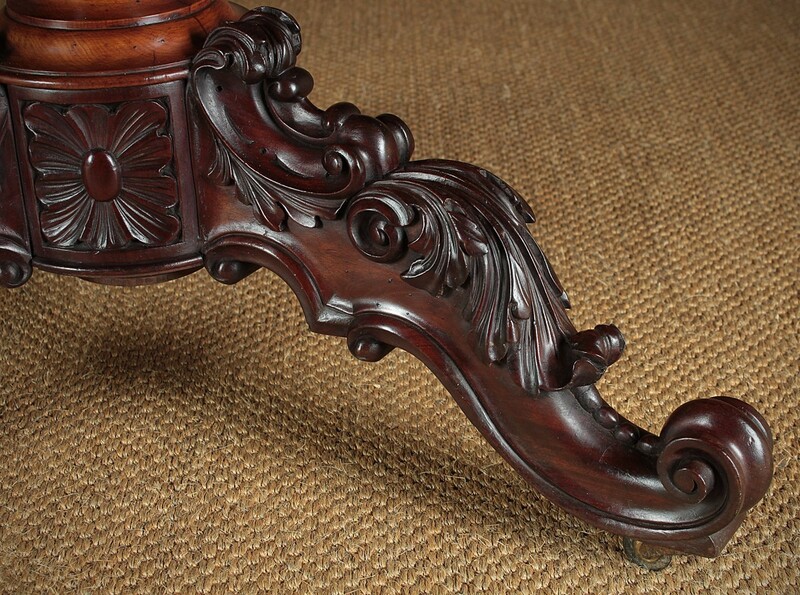 Turned and carved column raised on shaped tripod legs decorated with scrolling acanthus leaves. 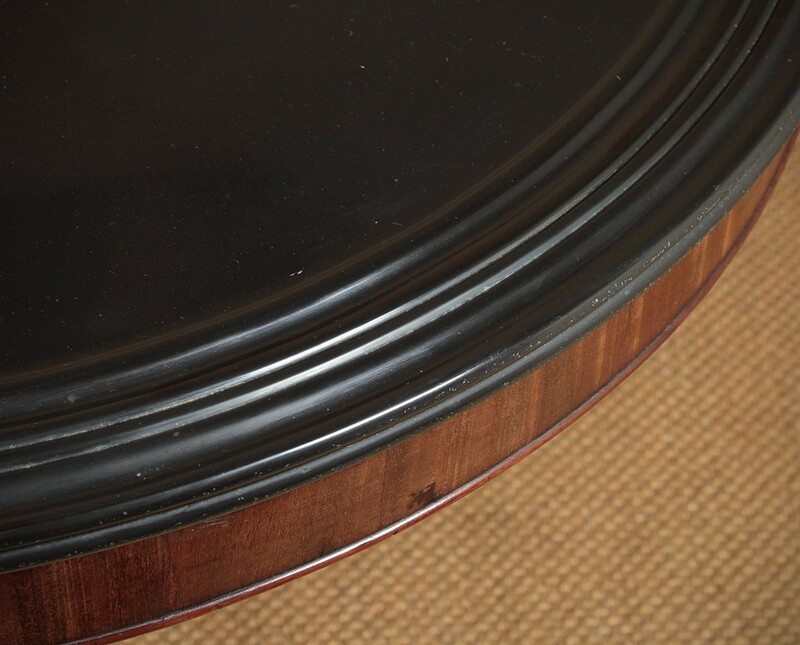 Retaining the original wooden castors. 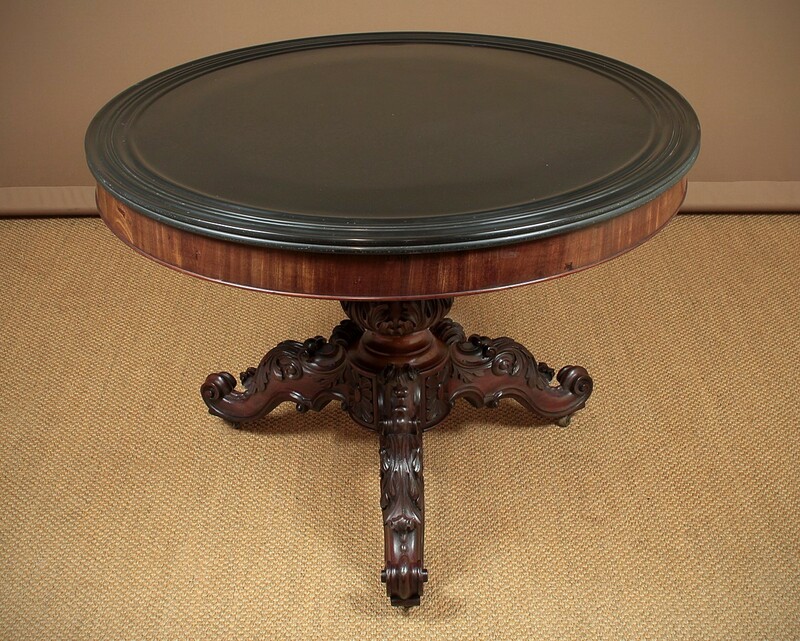 Excellent condition, cleaned and waxed in our workshops.